Remi Birch – on a day when silver linings were in very short supply, the assured second-half debut appearance was one. Khalsa exited the FA Vase with barely a whimper, producing a tepid performance which got exactly what it deserved. Certainly, the home side were well drilled and in every single department wanted the match more and, in centre-half Charlie Bowen had a player whose performance deserved the win on its own. But the truth is that Khalsa failed to show even a vague reflection of their true abilities in Cambridgeshire, not even registering a shot to make the home goalkeeper work for his clean sheet and who cannot complain about the second half goal that made the difference. 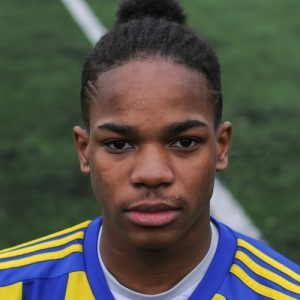 Khalsa were without skipper Tes Robinson and with central midfielder Alex Woodhouse filling in at left-back and Rovers sought to exploit the weaknesses. The early skirmishes effectively laid down the marker for a game that would be high in energy and bustle. Mensah Kinch crafted the first opening of note on 13 minutes, his cross finding Dan Westwood only for his header to comfortably clear Niall Conroy’s crossbar. At the other end on 26 minutes, Jack Chandler lofted a good cross into the box looking for Mike Hyem who might well have done better with the header he nodded wide. Two minutes later and Rovers had a huge shout for a penalty when Chandler went down under a challenge from Shawn Boothe but the appeals were waved away. Rovers then hit the bar on 33 minutes as they gradually wrestled control of the game, Khalsa keeper Sam Arnold tipping Joe Furness’s freekick onto the bar and to safety. Then, just before the break, with Khalsa increasingly flustered and uncomfortable in possession, Liam Armstrong was robbed of possession after receiving a ball from Arnold he would rather not have and Hyem had a golden opportunity to fire his side ahead only to see his attempted lob safely in the hands of the goalkeeper. The second half continued with Rovers in the ascendency, Downing having a good opportunity as he broke down the right flank only to lash a shot into the stands on the volley rather than seek a more measured strategy. Hyem had to be stopped with a last-gasp tackle from Carlo Franco on 55 minutes from a long-ball and a minute later Downing had the best opportunity yet, shooting wide with the goal at his mercy after some hesitant defending in the Khalsa box. But it mattered not as on 58 minutes Hyem finally put the home side ahead to huge celebrations by a vociferous crowd, turning home a Downing cross. Substitutions by Khalsa saw Mykel Beckley and Remi Birch – for a very assured debut – for Jay Holdcroft and Kinch enter the fray to try and spark some sort of response from the visitors. But on 77 minutes it was Rovers who really should have doubled their lead, Austen Diaper squandering another good opportunity. What would eventually be Khalsa’s best chance – and it barely registered as such – saw Birch feed Franco down the right flank for a probing cross which almost found Westwood but ended up bouncing to safety. Only in the dying stages did Khalsa really step up a gear, Leon Miles having a misdirected header wide after a flurry of action and then Josh Thomas screwing a chance well wide. But the final whistle blew without Khalsa ever properly testing the home goalkeeper meaning the FA Vase trail ends at the fourth round stage. Sporting Khalsa: Sam Arnold, Carlo Franco (captain), Alex Woodhouse, Leon Miles, Shawn Boothe, Dave Meese, Mensah Kinch (Remi Birch), Liam Armstrong (Alex Perry), Dan Westwood, Jay Holdcroft (Mykel Beckley), Josh Thomas. Subs not used: Adam Osbourne, Yannick Gomes.